The Beatles’ second album, With the Beatles, was released on November 22, 1963. It featured 8 original songs, including George Harrison’s first song “Don’t Bother Me”, and 6 cover songs including “Roll Over Beethoven”. 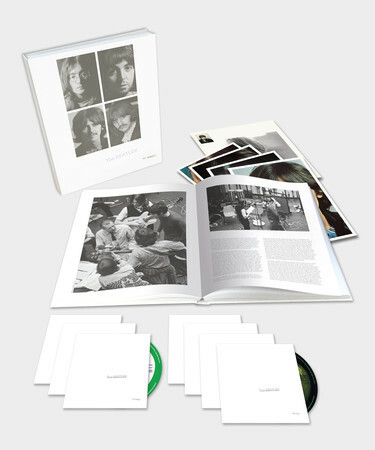 The artistic album cover featured silhouettes of the four faces of the Beatles. With the Beatles would be the first of five album covers shot by photographer Robert Freeman. Since most rock and roll music was being produced in the United States during the 1950’s and early 1960’s, no one ever dreamed that a band from Britain would surpass the King of Rock and Roll, Elvis Presley. But the Beatles had an advantage over many American artists in their formative years. Unlike most places in the U.S., in Liverpool, the teenaged Beatles were exposed to both black and white singers and musicians. In the 1950’s, the U.S. was still heavily segragated. The segregation extended to radio stations as well. Black singers were usually not played on white radio stations, and visa versa. 2) Liverpool had a racial diversity which enabled the white and black cultures to feed off of each other musically. In 1963, The Mersey Beat sound was sweeping Britain, and Brian Epstein decided to manage more bands from Liverpool. He offered songs penned by Lennon/McCartney to several other bands including Billy J. Kramer and the Dakotas and Peter and Gordon, who as a result, found success under Brian’s management. John Lennon and Paul McCartney began writing songs together in 1957 after Paul joined John’s group, The Quarrymen. Buddy Holly provided inspiration as a songwriter who sang his own songs. In the early days, John and Paul wrote over 100 songs together, many of which were lost years later when Jane Asher (Paul’s then girlfriend) threw them out by mistake while cleaning house. There was no set formula of one writing the lyrics and the other writing the melody. Both John and Paul had talent in both areas. After the Beatles became famous, John and Paul rarely wrote together, but continued to incorporate feedback from each other into their songs. The unwritten rule was that whoever sang lead usually wrote the song. As songwriters, Lennon and McCartney were both critically acclaimed on their individual merits. But over the years, stereotypes evolved that Paul tended to write pop-style love songs (“Yesterday”) and John wrote thehard-edged rockers (“Revolution”). Further analysis of their music catalog shows that Paul wrote rockers as well (“Paperback Writer”), just as John wrote love songs (“In My Life”). As a result, the partnership proved to be beneficial mainly as a competition. Whether consciously or sub-consciously, each partner’s next song was influenced by their co-writer’s last song. And each song was afforded two perspectives instead of just one. Brian Epstein played a large role in publicity for the Beatles. Brian took the existing Beatles Fan Club, formed in 1961 in Liverpool, and hired the Fan Club secretary, Freda Kelly, to run the Fan Club through NEMS. In 1963, the headquarters was moved to London with a staff fronted by a fictitious secretary named Anne Collingham. Members received membership cards, photographs, newsletters, special offers, and of course, the idea suggested by Beatles’ publicist Tony Barrow– special Beatles Christmas records. These special Christmas messages were recorded every year from 1963 to 1969 and sent exclusively to all members of the Official Beatles Fan Club. While the fan club was not profitable, it was subsidized by Brian and the Beatles. The club reached a peak of 80,000 members in 1965. Meanwhile, other unofficial branches of the fan club opened up all over the world. The London office closed in the late ’60’s, and the club was again run by Freda Kelly in Liverpool. The club officially closed in 1972. Fun Fact: In 2013, a documentary was released about Freda Kelly, the secretary of The Beatles fan club. ‘Good Ol’ Freda‘ explores Kelly’s personal and working relationship with The Beatles. The Beatles personal lives were changing just as rapidly. In the Summer of 1963, Brian and the Beatles decided they all needed to move to London. By April 1963, John had a wife and child to care for. In August 1962, John married girlfriend Cynthia Powell after she discovered she was pregnant. On April 8, 1963, Julian Lennon was born. Brian urged the couple to keep the marriage and the baby quiet for the sake of public relations, i.e. appeal to the teenage girls. John and Cynthia move to an apartment in London. In April 1963, Paul meets Jane Asher, a 17-year-old actress from a prominent London family. He moves into his own room in the Asher family house in London for the next two years, while dating Jane. Meanwhile, George and Ringo share an apartment in London. With a continuous string of hit records, The Beatles were becoming rich and famous. They were so popular in England that they were asked to play at the Royal Variety Performance for the Queen of England on Nov. 4, 1963. The Beatles were becoming known for their sense of humor and charm especially when dealing with the press. This ability to come up with sarcastic one-liners made a huge impact when the Beatles first came to America. While the Beatles were a huge success in England, they found little success in America by the end of 1963. Since EMI had begun releasing Beatles records in 1962 in Great Britain, their U.S. affiliate, Capitol Records refused to release them in the United States. As a result, Brian Epstein made deals with other records labels in the States to release early Beatles hits. Vee-Jay released the singles “Please Please Me” and “From Me To You” with little success. They also released an album in early 1964 called Introducing the Beatles. With the lackluster success, Vee-Jay turned down any future Beatles songs, so the Swan label released “She Loves You,” also with little success. Finally, the Beatles record “I Want to Hold Your Hand” written purposely with more of an appeal for the American market. But the Capitol Records executive turns it down. Brian will not take no for an answer this time, so he calls the head of the record company, Alan Livingston, and demands to know why they are turning down the Beatles yet again. Livingston had not heard the record. At Brian’s request, Livingston listens to the record and agrees to release it on the Capitol label. 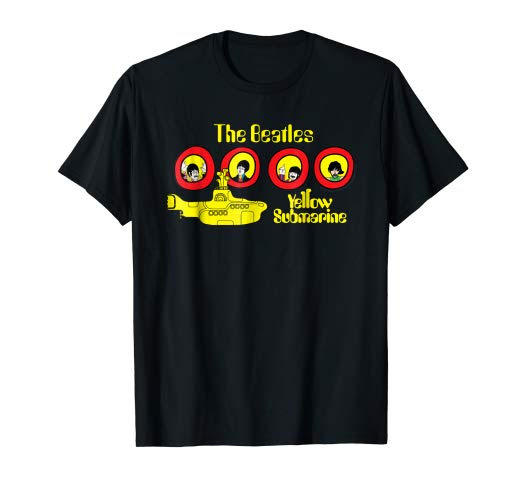 The Beatles being signed to the US record label of Capitol Records sets in motion a sequence of events enabling The Beatles to conquer America.